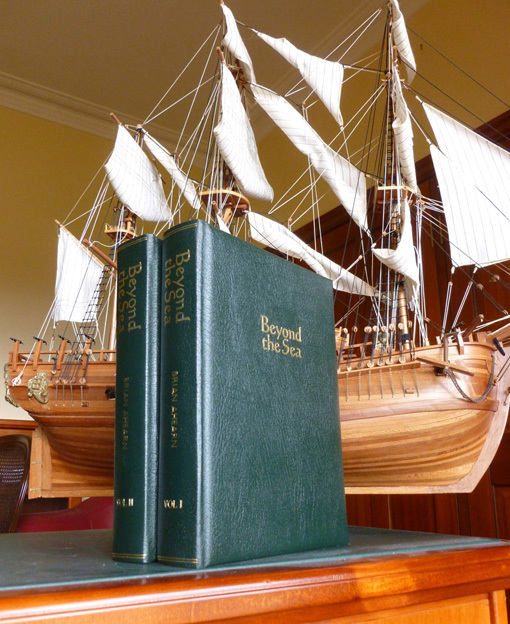 Press Release Beyond the Sea• There are two volumes with a limited special first edition binding. • Each book is hard-bound in green leather and blocked in gold. • There are 1,300 pages with 753 illustrations, Including a bibliography and index. On the morning of November 29, 1801, a heavy wooden wagon, lumbered through the streets of Cork and moved slowly in the direction of the port of Cobh. Absorbing the bumps in the springless cart was a young sworn United Irishman named Murtagh Ahern and his two brothers John and Michael. They had been sentenced to suffer death for rebellious outrages and the brutal murders of all the male members of a Tithe-Proctor’s family at Croom in County Limerick. 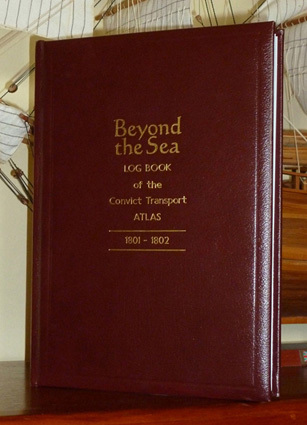 Their commuted sentences to life ‘beyond the sea’ would see them chained below the deck of the ‘Death ship’ Atlas and spend 220 agonising days amongst sick, hungry and disease ridden inmates. It would be the worst voyage in the history of Irish convict transportation to the infant colony of New South Wales. Sixty-five convicts, including his brother John, would join the sufferers on their voyage to the deep. At 2 o’clock on July 6, 1802 Murtagh arrived in Port Jackson with his brother Michael. 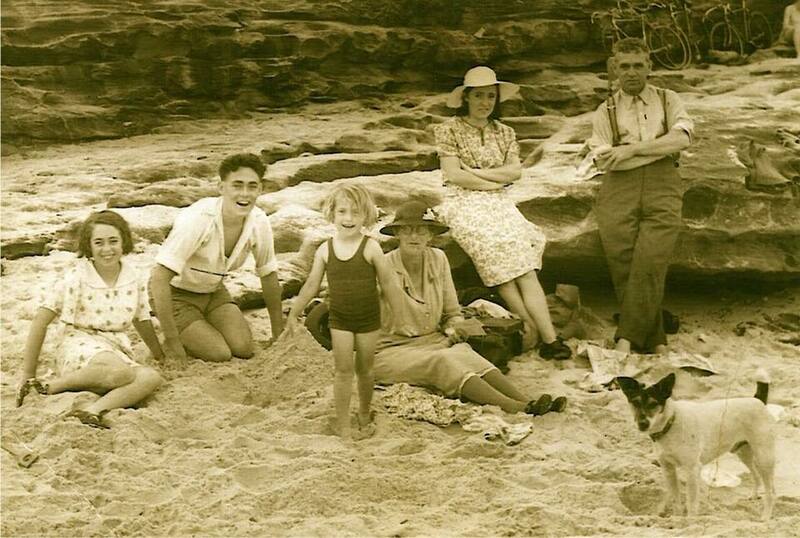 They would suffer, but survive, the most turbulent times in the history of Australia. Murtagh would marry English convict Mary Abbey. They would produce seventeen children and become one of the pioneer families of Liverpool. He worked for Lieutenant Edward Lord in Van Diemen’s Land and under Lieutenant-Governor David Collins. In 1810 he received a pardon from Governor Lachlan Macquarie. He became a constable, a hotelier and a prominent farmer on the Georges River. This book gives a sweep of Irish history from Murtagh’s ancestor Brian Boru the High King of Ireland, the dark days of Oliver Cromwell, the horrors and privations of the 1798 Irish rebellion to the discovery and founding of Australia. It details the struggles of succeeding Governors and the characters who made Australia what it is today. The second volume also covers the early Irish family records of Murtagh and Mary’s family in Mileham. The background of their seventeen children is also included. • There are two volumes with a limited special first edition binding. It maybe an opportunity to visit, prior to the talk, Murty and Mary’s headstone in Liverpool Pioneers’ Memorial Park. The park is a fitting reward for the wonderful work that Liverpool City Council has done in restoring the headstones of its pioneers. It is estimated about 15,000 people are buried there. Only about 10 such cemetery parks exist in NSW. The Park is located on the corner of Campbell, Macquarie Street and the Hume Highway in Liverpool. As you know, Murty and Mary Ahern along with their numerous children were one of the pioneer families of Liverpool. On hearing of the books, and log of the Atlas, the City of Liverpool Library and Museum enthusiastically asked to become involved in launching the books. They have generously made the Gold Room in their magnificent library available as a venue. The launch is part of Liverpool City Council’s on-going support of Liverpool and Australia’s historical heritage. The presentation, including visuals, titled ‘Irish Rebel to Liverpool Pioneer’ will be on Wednesday, 27th November 2013 at 5pm. It will include a unique display of rare documents and convict Australiana never before seen in Australia. Venue is the Gold Room at the Liverpool City Library 170 George Street Liverpool. Parking is available at the rear of the library. Please confirm your attendance by calling Liverpool City Library on 98219422 by Friday 22 November 2013. 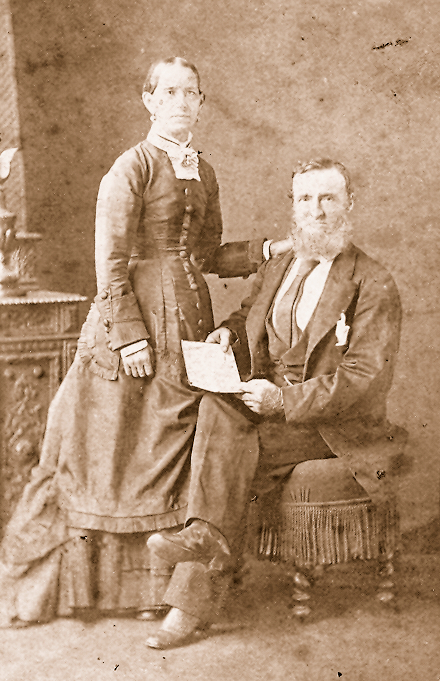 SARAH AND GEORGE MOORE 19th CENTURY.